The baby whose existence was aware by the parents in the morning of my very wedding day has just arrived! J J is such a beautiful baby!!! JJ is her temporary name while the parents/families are searching for the official one. 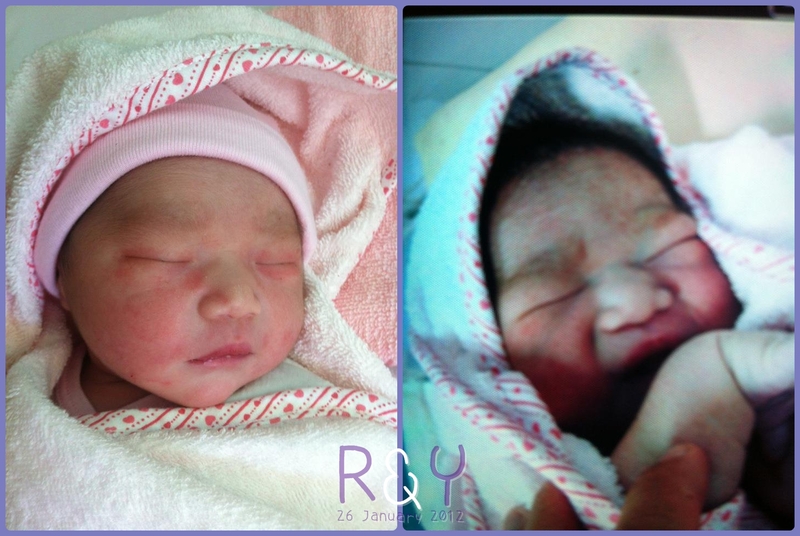 She's 3.3kg and born today (26 January 2012) at 7 in the morning. How big my face is -_-!